The playground at Ferguson Park in Meridian Township rises out of the flooded Red Cedar River. Flood insurance is mandatory for people who live in well-established floodplains. For decades, the federal government has helped homeowners make those payments. But that’s changing. The steady rain and melting snow that’s deluged mid-Michigan this week is spawning deep, swift currents and blocks of submerged streets and yards. 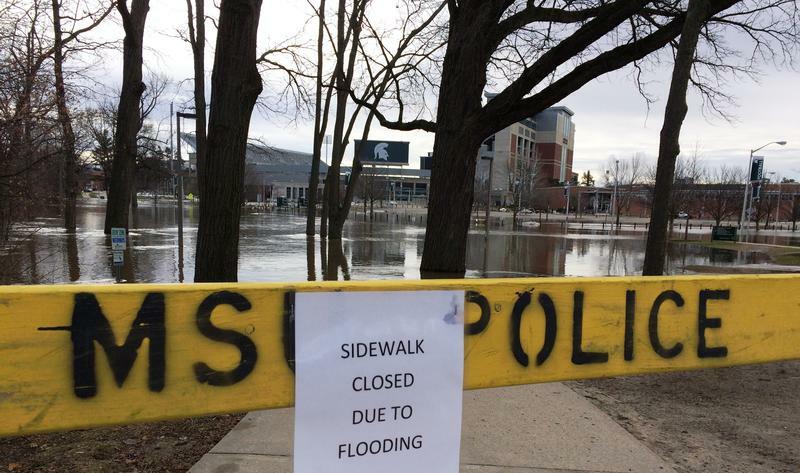 A flood is a costly phenomenon...and we could be in for a little sticker shock. Most homeowners don’t carry flood insurance as part of their policy. But it’s mandatory for people who live within established floodplains. In 1968, the National Flood Insurance Program was created to help those homeowners offset their damages. Ratepayers have been subsidized for the last 50 years. Going forward, rates will be set on an actuarial system. It’s a risk management approach that translates into higher monthly premiums for policyholders. “In Lansing, we’re looking at three or four times what somebody is paying today when they reach those actuarial rates; the rates where the subsidies are gone,” says Lansing Hazard Mitigation Coordinator Ronda Oberlin. 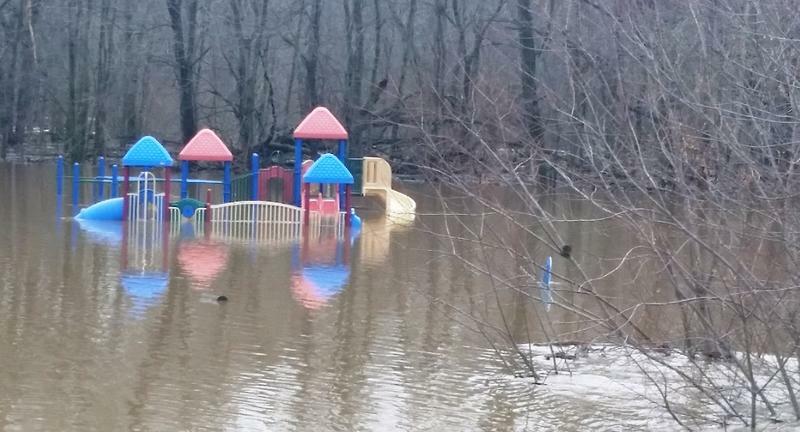 Oberlin says too few Americans participated in the flood insurance program to keep it viable. And, she says, the subsidies worked counter to their original purpose. “The intention was to get everybody out of the floodplain or make people build in compliance, but actually all it’s done is encourage development because flood insurance was so cheap,” Oberlin says. It will take time for homeowners to reach the actuarial rate. If insurance premiums stay as they are, Oberlin says the average Lansing resident will get there in 25 years. But rates have been going up by about six percent each year...and the law allows up to 18 percent. “Yeah, it is a concern,”” says Lansing homeowner Eric Washburn. He lives in the Sycamore Park Neighborhood, one of the most flood prone in the city. Washburn believes spiking flood insurance rates could price existing homeowners out of the neighborhood and deter would-be buyers. Every year at renewal time, Washburn requests coverage that’s equal to his mortgage balance. The city wants to offer some relief. Lansing’s current 2011 floodplain maps are outdated. There are fewer bridges now to constrict water flow, which changes something called the base flood elevation. That’s the level to which a river is expected to rise...and it’s a key driver of flood insurance rates. Re-mapping won’t lower premiums for everyone. Take Lansing’s low-lying Urbandale neighborhood. Oberlin says some homeowners could face flood insurance payments twice as high as their mortgage. In those instances, she says, the best solution is for the city to acquire the property and return the land to farming. Though flooding is not covered under basic home insurance policies, there are ways to supplement your coverage. One way is to purchase an add-on to your policy that covers sewer and water backups. ”If you have water coming in through your drain in the basement, your sump pump stops working; there is coverage that you can buy in addition to your homeowners policy that will help cover that,” says Lori Conarton with the Insurance Alliance of Michigan. Hazard Mitigation Coordinator Ronda Oberlin concedes it’s unrealistic to expect developers not to build in floodplains. She just wants to see it done responsibly, and she’s on a mission to make every structure in Lansing flood-resilient. “The rising cost of flood insurance is inevitable, it is inevitably going to affect people’s property value, and we really want people to take responsibility for that and do what they can to protect themselves and their investment,” she says. For now, the city’s floodplain re-mapping project continues. Oberlin hopes studies will finish this year so her team can draw new, more accurate maps. 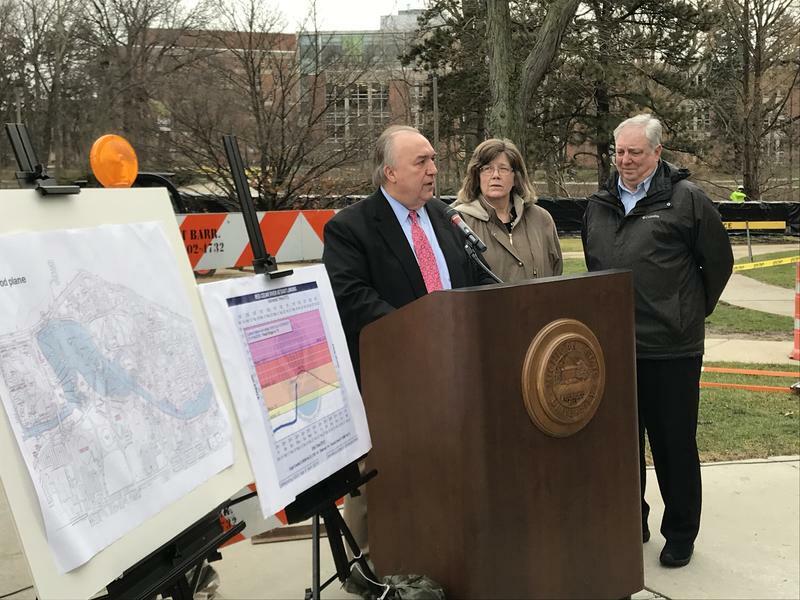 Michigan State University Interim President John Engler said at a news conference Wednesday that the campus is facing the worst flooding it’s seen in 40 years, but he believes they are well prepared. MSU Interim President John Engler speaks at a news conference about campus flooding. 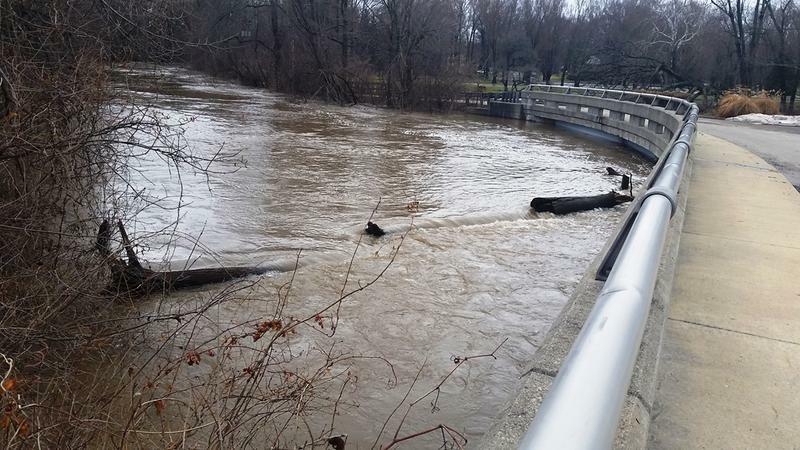 The Lansing Office of Emergency Management is recommending evacuation in various neighborhoods due to possible flooding. WKAR’s Katie Cook has more.